Special news for Star Wars Fan!! 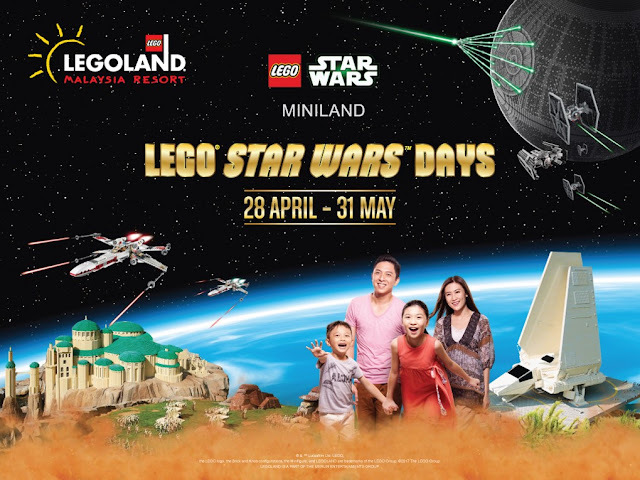 Pack your bags and ready your ship as LEGOLAND® Malaysia Resort revealed today it is planning the largest LEGO® Star Wars™ Days celebrations yet. It’s the 40th Anniversary of Star Wars™: A New Hope, the ultimate gateway into a galaxy far, far away. To commemorate such a huge milestone for its most prized event, LEGOLAND® is pulling out all the stops to make the annual LEGO® Star Wars™ Days a memorable one by dialing up the size factor. LEGO® Star Wars™ Days is set to be the largest Star Wars™ May the 4th celebrations in the region! LEGO® Star Wars™ Days 2017 will run over the course of 34 days and across 5 weekends (28 April-31 May) with a variety of exciting and entertaining daily activities for the whole family. Masters of the force – Representatives from LEGOLAND® Malaysia Resort and LEGO® Malaysia are flanked by Star Wars characters from the dark side. (from left to right) Kurt Stocks, General Manager, LEGOLAND® Malaysia Resort; Leslie Falvey, General Manager, LEGO® Malaysia; Thila Munusamy, Director of Sales and Marketing, LEGOLAND® Malaysia Resort; Jacob Leighton Rennison, Head of Marketing, LEGO® Malaysia. The largest LEGO® Star Wars™ MINILAND Model Display is the only one of its kind in Asia, where models are built with over 1.5 million LEGO® bricks. The exhibit is made up of seven rooms each depicting scenes from each Star Wars™ movie, in chronological order. In LEGO® Star Wars™ Live, guests can look forward to the most avid storytelling experience at LEGO® Star Wars™ Miniland with the Model Citizens who are specially dressed in Star Wars™ costumes. Over 100 Star Wars™ characters marching down the streets of LEGOLAND® Malaysia is definitely a sight to see. But what if you could be a part of it? The Imperial March will be led by the most devout fans of the Star Wars™ universe – 501st Legion and Rebel Legion – setting up an intense clash of the dark and light side. What is truly remarkable is that guests have a once in a lifetime chance to make a true memory by participating in the huge march as well! Put your dancing shoes on as you’ll find dancing Stormtroopers and Star Wars™ characters around the park. The cutest Dark Lord himself, LEGO® Darth Vader, will make special appearances so be sure to take a picture with him if (and it’s a big if!) you get the chance to. Also, endless photo opportunities with Star Wars™ characters including Jedi, Storm Troopers and Princess Leia will start on 29th of April and continue for subsequent weekends. LEGOLAND® will be hosting a commemorative session to honour the People’s Princess – the toughest galactic princess ever. Prove your Star Wars™ worth by embarking on an awesome Star Wars™ scavenger hunt in LEGOLAND to solve our special quiz. Take a good hard look on our Model Citizen’s vests. If you spot a Stormtrooper minifigure, you get to redeem a mystery prize at the admission counter. 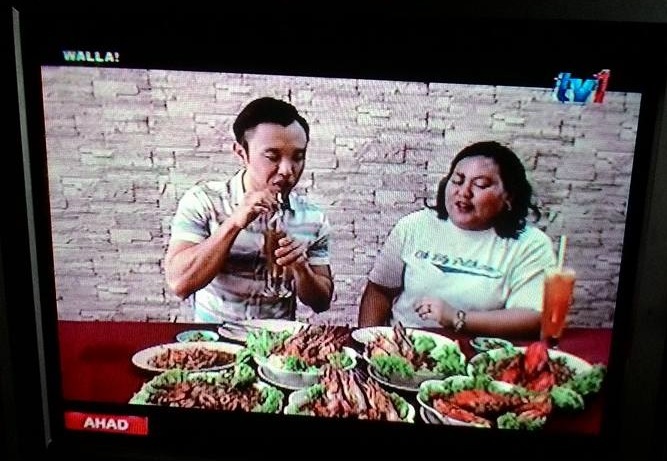 This should be everyone’s dreams. You’ll get your chance at LEGOLAND®. Let our Master Jedis train you to master the force at the Jedi Academy. Young Padawans who prove their skills and master the Force will be presented with an awesome LEGOLAND® Jedi Academy Certificate. The passport will be given to all of our younger guests, who need to collect stamps from all LEGO® Star Wars™ Days activities such as giant R2D2 build, Star Wars™ World build, Trivia Hunt, Jedi Academy and Speed Building competition. The lucky Padawans who collect all stamps will stand a chance to redeem it for a special commemorative brick – awarded on a first come, first serve basis. A huge LEGO® Star Wars™mural lies in LEGOLAND® Hotel and we need only the bravest galactic artists to help us complete it. *Only for LEGOLAND® Hotel guests. An ode to the original Star Wars™ films, LEGOLAND® Hotel will be screening the first two episodes of the epic Star Wars saga every night from 9.30pm onwards. At LEGO® Star Wars™ Days 2017, guests will come face to face with characters from the popular galactic saga. As a special treat to Star Wars™ fans here, LEGO® will be launching its latest LEGO® Star Wars™ Classic merchandise in Southeast Asia first, ahead of other markets, in the first week of May 2017. These LEGO® Star Wars™ Classic merchandise feature epic scenes from the Star Wars™ movies. Get your hands on these LEGO® Star Wars™ collectibles when you visit LEGOLAND® Malaysia Resort! LEGO® Star Wars™ Kids Go Free: FREE Entry to the park for children dressed in Full Star Wars™ Costume. Please visit LEGOLAND® Malaysia Resort’s official website for full T&C and guideline. LEGO® Star Wars™ Gifts with Purchase: Receive FREE Exclusive LEGO® Star Wars™ U-Wing Fighter with more than RM100 purchase of any LEGO® Star Wars™ play material OR FREE Exclusive LEGO® R2-D2 with more than RM300 purchase of any LEGO® Star Wars™ play material. While stocks last. Early-Bird savers: For those who purchase their tickets online from 19th April to 9th May 2017 to LEGOLAND® Malaysia Resort, enjoy 20% off. TWO-TO-GO promotion: Where’s the fun without your friends and families? Enjoy 28% off when you purchase two 1-day theme park / combo tickets as a package online, from 10th – 20th May 2017. For further information on promotions and activities, visit LEGOLAND® Malaysia Resort’s official website www.legoland.com.my and stay connected with the resort via social handles (Facebook & Twitter) to find out more on online LEGO® Star WarsTM Days activities and promotions.